Besides the popular street network of the city, Romans dedicated great attention also at the management and building of structures related to urban waters. Follow us in this water in Rome photo tour toward the discovery of these architectonic elements. 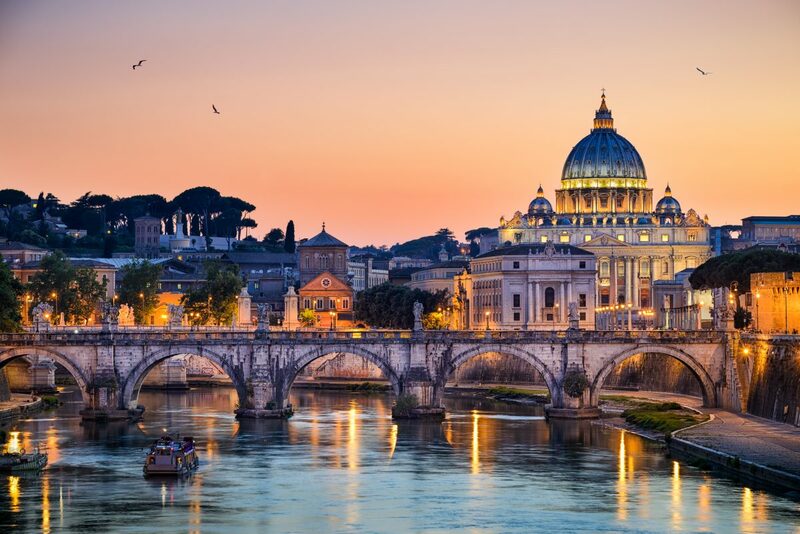 All about the WATER IN ROME PHOTO TOUR. The fast growing and expansion of the city and of the Empire required the research and improvement of more basic ways to supply water to the city; this led to the evolution of the water system in the city and the creation of aqueducts and fountains. Since the very beginning of its establishment, in fact, water in Rome had an important value, responding both to practical and decorative purposes. Due to this, today its presence is impressive and can be found in small installations, like in the small fountains called Nasoni (literally big noses) for the shape of their water pipe, or in majestic plants like the aqueducts and monumental fountains. Being both simple or much more elaborate and magnificent, Rome has always considered water as a primary element, and that explains too the great importance of the thermal baths in the city. In most of the empire, indeed, they left important proof of their massive presence, but it is in the capital city, that for a good reason is called "the city of the fountains", that they realized the most enormous and magnificent structures. According to Romans, the civil engineering should respond to both useful and aesthetic principles related with a long-lasting and functional structure, and that's why these constructions are now a day still admirable in all their majesty. 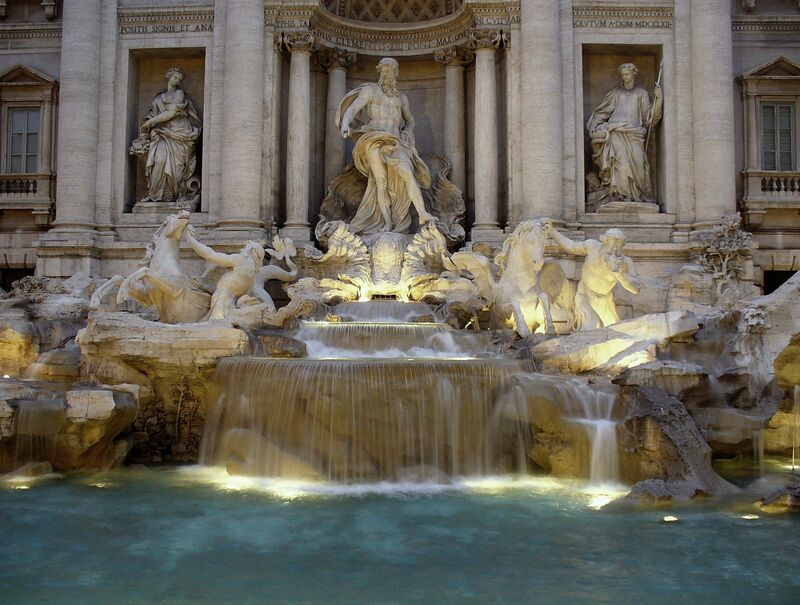 This consideration lead many directors to portray in their movies the beauties of Rome and its fountains. Among the many scenes that helped represent the value of the water for this city, one is particularly memorable: Anita Ekberg in the Fountain calling for "Marcello" in La Dolce Vita (the Sweet Life), directed by Federico Fellini in 1960. As well as a director, being a photographer means more than simply trying to capture things, it deals more with the capture of the essence of a place, and fountains and water movements are, indeed, an important part of the roman soul. Join us in this photographic workshop and learn from a master photographer how to capture these elements in the best way. Discuss with a professional about some technical or more difficult issues and improve your skills by training on the field. Follow us, enjoy the city, experience it with an insider master photographer and learn by doing thanks to the many tips and tricks he will be able to suggest you. Surrounded by a rural area named Ager Romanus (The Field of Rome), this public park hosts 7 aqueducts both up and underground. 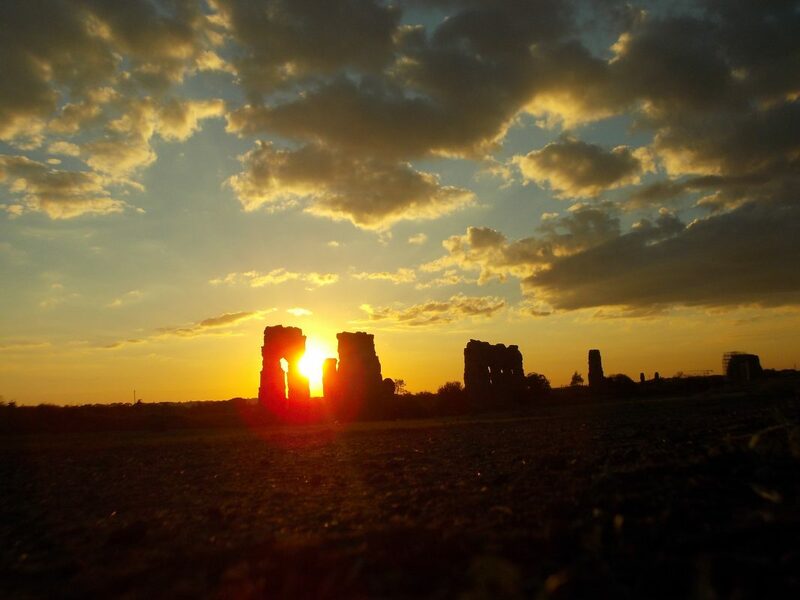 Its landscape, that appeared in some movies scenes, offers incredible opportunities to capture interesting views. The Turtles Fountain, designed by the architect Giacomo della Porta at the end of the XVI century, is characterized by curves and sinuous lines and by the presence of iconographical elements like dolphins, shells, ephebes, and obviously, turtles. The most popular and renowned fountain in Rome deserves indeed more than a quick simple picture. Tight in a small square, the fountain appears even more majestic, and it's a splendid example of Baroque architecture. If you wish to come back to the city, the traditions invites you to turn your back to the fountain and throw a coin over your left shoulder with your right hand. Originally named the Fountain of Acqua Pia, the Fountain of the Naiads is characterized by the presence of four Nymphs that represent the four forms of the water on the planet: lakes, rivers, oceans and underground waters. In the middle of the fountain a sculpture of a man symbolize the control of the humans over these natural forces. In Piazza di Spagna (Spanish Square) the baroque-style fountain created by Bernini attracts millions of tourists due both to its cultural legends and to its shape that reminds a semi-sunken ship with water falling from its side into a small basin. 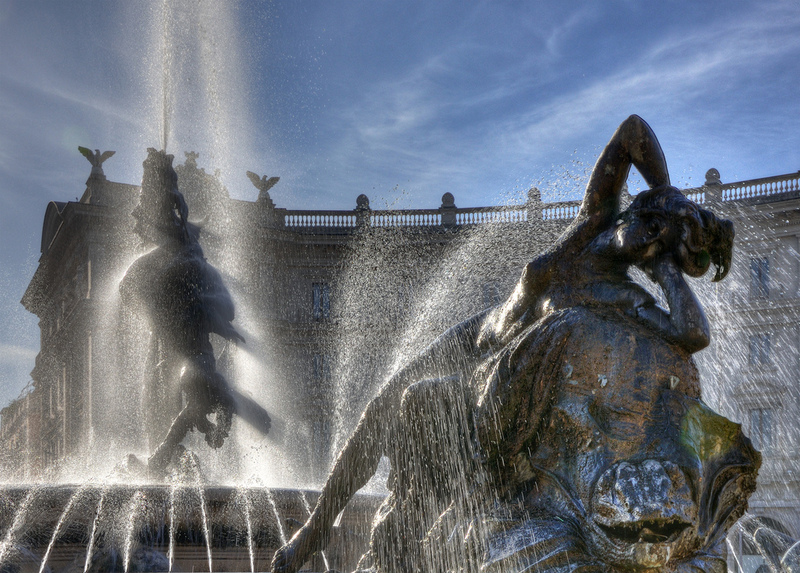 The Fountain of the Four Rivers, designed by Bernini is one of the most famous and appreciated in Rome. The name of the fountain is related to its iconography: the four main rivers of the world (the Ganges River, the Rio De La Plata, the Nile and the Danube) are represented here gushing from a sort of island, and each element and statue convey many significance due to the high number of allegories and metaphors. This fountain marks the end of Acqua Paola aqueduct and from it took its name. It is also called the Fontanone due to the majesty of its architecture. The long river that crosses the city offers to each photo lover infinite possibilities to capture in a marvelous shot its movements or the charming lights reflected on its surface. Born in Rome, he received his first camera at the age of 10. Since then he started capturing his sister, his dog and the many toys and later on the lens moved towards travels, concerts and people. Photography quickly become a passion worthy the dedication and resolution to it devoted and living in London for 2 years he learned more about the street photography. He describes his photography as personal, spontaneous and honest.